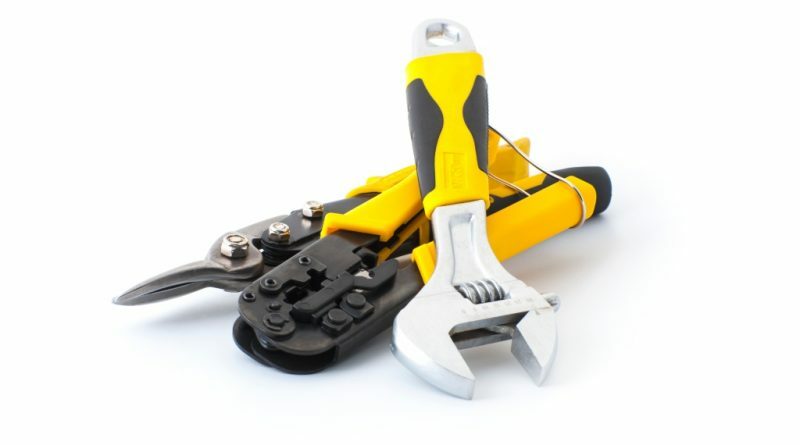 The right set of wiring tools can make the disconnection of electrical components during a home renovation simple and hassle-free. All you need is basic electrical knowledge and just a few specialized tools used for wiring, and before you know it you will be able to easily replace that old light-fixture in your bath. Using the right wiring instrument is important. So if you are planning to carry out a bath renovation project that involves replacing an electrical fixture or simple re-wiring in your bathroom. 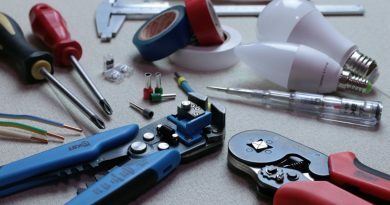 This is an introductory guide that will take you through a list of wiring supplies and electrical tools for replacing light fixtures and installing switches and outlets and show you an example of how easy it is to use these wiring tools. Before we highlight the set of wiring tools and equipment needed to carry out electrical renovations around the bath, safety is an important concern that must be addressed when carrying out DIY electrical projects of this sort. Here are a couple of safety measures that will go a long way to ensure that your electrical wiring task at hand goes according to plan. When wiring your bathroom, first off, it is a good idea to turn off the entire supply of electrical current flowing into your grooming space so as to prevent any possible chances of electrocution so make sure the electrical power has been diverted. If you are still unsure whether or not power has been fully cut from the bath, purchasing a rather inexpensive electrical tool called a tick-tracer and inserting it into one of your wall outlets will enable you to tell if the power has been fully cut. If the neon lamp on this piece of wiring equipment lights, then the current is flowing, if it doesn’t, then you are free to proceed with your small bath wiring project. Now that you know how to ensure that your bathroom is power-free and safe to work, a wiring tool that is a must-have to carry out any house-wiring is a wire-stripper. 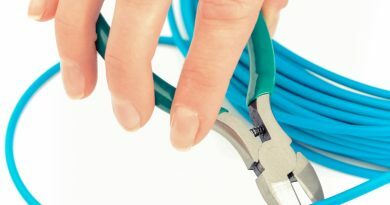 This wiring implement comes in many forms, but can resemble a small hand-held scissors that is built for the sole purpose of pealing the insulating material from the wiring to expose the wire. All that you need to do is open the jaws of this wiring tool, securely clamp it on an insulated section of the wire, rotate, and a sharp pull should make the plastic slide easily off the copper wire. This is an indispensable wiring tool, and there is no way to get around the fact that this is a tool needed to get your wiring job done right. So when renovating electrical components in your bathroom, the need will surely arise for you to strip wires, and when it does, cutting and joining wires is not far behind. For this job, a wire-cutter and wire-nut are the best tools that will effectively get the task done. The look of a wire-cutter closely resembles pliers, but its sharp edge is what makes it different from the bluntness of pliers. The sharpness of the wire-cutter tool is the main feature that makes it the ideal wiring tool to cut through lengths of copper-wire found throughout the wiring in your bath. On the other hand, if the need arises to join two pieces of wire together, a wire-nut is the way to go. All that you need to do is determine the size of the nut to be used, strip the necessary amount of insulation from both wires and simply join the two ends together and screw the plastic wire-nut over both exposed ends. For added insulation, it is advised that you wrap the entire wire-nut with electrical-tape, since more insulation equals less chances of an electrical failure. As mentioned before, the preliminary step before using any electrical wiring tools is always to ensure that electricity has been fully shut off from the bathroom. After all is safe, the first wiring tool to use is your trusty screw driver. Use this hand tool to remove any nuts that are fastening the light fixture to the mounting bracket. When this is done, the fixture will be able to move to give you access to the electrical wires behind it. However, before the light fixture can be fully disconnected from the main wiring, the mounting bracket must be unscrewed. When this is finished, you can now begin to unscrew the wire-nuts (be sure to note which wires go where) that link the wiring from the fixture with the bathroom’s main wiring. After all the attached wires have parted ways, the fixture should now be completely disconnected. Now for the installation of your new light fixture in the same position that the previous one was removed. Chances are that your new light fixture has wiring that is fully insulated. No problem, grabbing your wiring tools, the wire-stripper tool is there for you to use to remove about 2 inches of plastic insulation to expose the copper wire. Next, use the screwdriver to begin screwing in the mounting bracket. When this is done, be sure to reattach the electrical wires in the same position that was found on the old-light fixture and use wire-nuts and electrical tape to join the fixture to the main connection. Begin bolting on the fixture to the mounting bracket using your screwdriver and just like that you have successfully swapped out an old light-fixture for a brand new one. This article has provided you with basic knowledge to understand that a well-equipped wiring-kit with the right wiring tools makes electrical tasks during your bathroom renovation far more tolerable. Once safety measures are followed, the necessary tools for wiring present and this tutorial close-at-hand for reference, you will be well equipped to tackle more jobs that involve wiring your home. Copyright © 2019 Advice4home. All rights reserved.